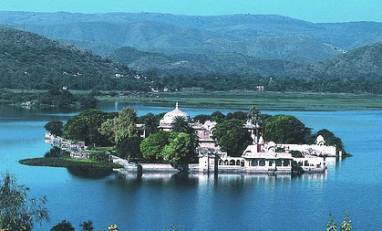 The tourist attractions in Udaipur are abundanant and rewarding. Known as the city of lakes, Udaipur is home to some of the most beautiful palaces in the India and possibly the world. 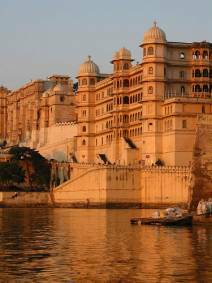 One of the favourite attractions in Udaipur is the City Palace which stretches along the eastern shore of Lake Pichola and leaves all who visit, spellbound. Its architecture and design are breathtaking and the various hanging balconies and windows offer spectacular views over the vast city and the shimmering lake. Construction of the City Palace began in 1725 and was not completed for many years. Various owners and successors to the throne have contributed to its design and structure so it is a wonder how it has kept its originality, formality and style. The central part of the palace is now preserved as a museum showing a huge amount of wierd and wonderful artefacts from down the ages of Indian History. The rooms of the palace have been well preserved and are beautifully decorated with mirror tiles and paintings. Throughout the huge palace complex, thousands of paintings depict the life of the Palaces various owners and its fascinating history. At night, the whole Palace lights up and a loud and bright light show takes place in the central gardens. 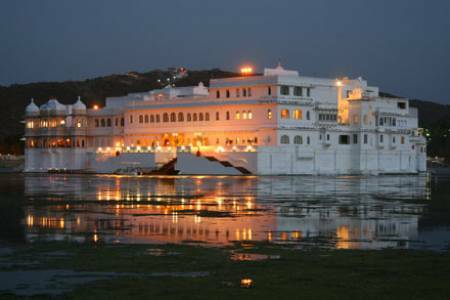 Also used to depict the history of Udaipur and the palace, the light show uses one hole side of the palace and is shown to audiances on various nights of the week. It is quite a spectical. Its costs around 500 Rupees for an entrance ticket. Jag Niwas or The Lake palace as it is also known, has to be seen to be believed; however, its beauty and wonder simply remind you of the fact that you are actually in India. 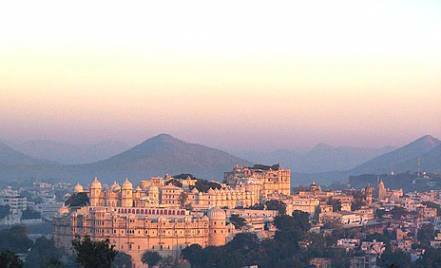 Udaipur is the most romantic city on earth and this has to be its heart. The Palace lies on a small island amidst blue waters of Lake Pichola . The rolling, green Aravalli Hills on one side and the spectacular City palace on the other, make the perfect backdrop for this wonderous creation. It was built in 1746 out of white marble and it reaches out over an area of nearly four acres. A series of courtyards and gardens link the palace together making use of fountains, statues and columns to add it its grace. The Lake palace has recently been made into a 5 star luxury hotel offering the best services and rooms decked out with carved arches, paintings, crystal work, stained glass work, gold and inland stones of pink and green. If you are not staying at the Palace then you cannot visit unless you book in advance for dinner or possibly an expensive cup of tea. 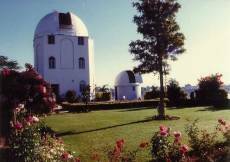 Udaipur Observatory is considered the best solar observatory in Asia. Positioned on an island in the Fateh Sagar Lake, the Observatory is one of only a few in the world that are situated upon a lake. The observatory is an important research tool of modern science and is used in part for the study of magnetic fields and forces in space. Udaipur Solar Observatory has been around for nearly 25 years and in that time has witnessed an entire solar cycle and also become the perfect center to develop solar physics in India. For some reason, unknown to me, the fact that the observatory is surrounded by water, make it the perfect atmosphere for looking into space. You can visit the observatory but you will have to catch a boat. One of the most interesting attractions in Udaipur is the Jag Mandir palace is built out of golden sand stone and marble and sits on one of the southern islands of Lake Pichola, behind the lake palace. From the offset it looks like a floating garden but it is, in fact, a palace in its own right. It was built as a hiding place for Prince Khurram when he revolted against his father at the beginning of the 17th century. The palace is consisted of predominately Islamic architecture, there is a mosque and a museum on the island and I have also heard that a very nice restaurant has been added. Various marble pavilions lie around the complex linked together by gardens and one of the biggest attractions is the huge, main courtyard which is covered with black and white tiles. The Palace is fairly easy to reach, you can get a bus or taxi to it from the city very easily and then hop on one of the various boats.